Through a diverse partnership between the Natural Resources Conservation Service, the North Carolina Department of Natural Resources, the North Carolina Coastal Federation, North Carolina State University, Duke University, and a local hunting club, the project created seven acres of salt marsh and 2,500 feet of tidal creek in Carteret County, North Carolina. The work is part of a larger restoration project, which involves removing farmland from cultivation and placing it under perpetual conservation easement, and restoring hydrology and habitat. Reducing the farming activity in the area will rehydrate the soils and connect the tidal creek and marsh to the original shorelines of Williston Creek and North River. 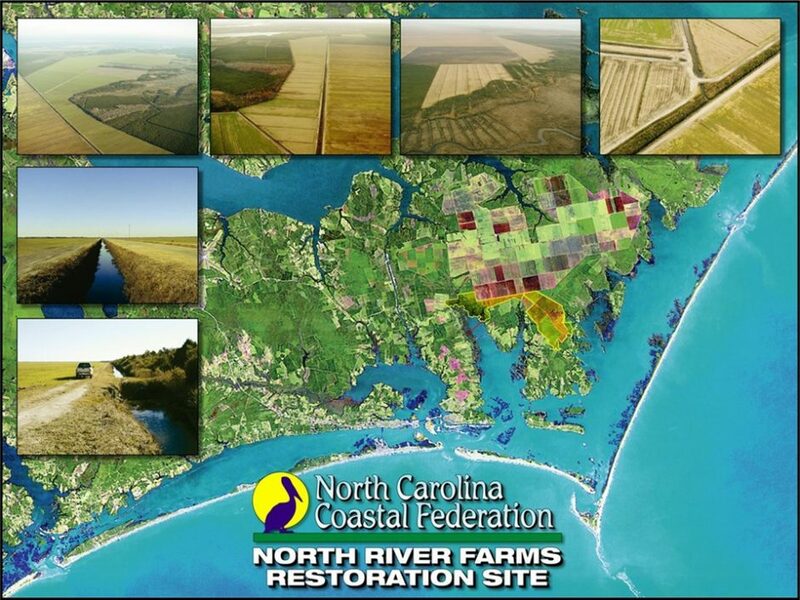 Restoring hydrology on the farm removes the main sources of bacterial contamination, nutrients, and sedimentation on historically-rich shellfish beds – improving vital estuarine habitat for species such as southern flounder, Spanish mackerel, spotted sea trout, weakfish, black sea bass, gag grouper, and red drum. Text and photo provided by the North Carolina Coastal Federation.